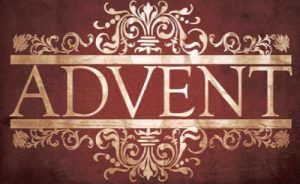 The word “Advent” is derived from the Latin word adventus, meaning “coming,” which is a translation of the Greek word parousia. As early as the 4th and 5th centuries, Christians celebrated the first coming of Christ, but it was not necessarily tied to Christmas. 1400 years ago when Roman Christians celebrated Advent, they did not even have the first coming of Christ in mind but His second coming. How exciting! Today, we see the season of Advent as the four weeks of celebration, preparation and meditation leading up to Christmas, the day we celebrate the birth of Christ. It is a time of anticipation and expectancy where we observe Jesus coming to this earth, coming into our hearts, and coming again. Thus the Principle of the Advent Season is not just one of anticipation, for Jesus has already come, but it is one of expectation because Jesus will come again! With the first coming of Christ, He redeemed us from the law of sin and death. Jesus fulfilled the law because we could not and He totally conquered death, which gives us a new and living hope. The gloomy clouds of night have truly been dispersed. Yet, with His Second Coming, Jesus will come to bring His righteous judgment upon the earth and then rule and reign for 1000 years. This is good reason to rejoice. Jesus will come for His church prior to His Second Coming and the 7-Year Tribulation. So, if the Principle of Advent is in looking forward to Christ’s coming with anticipation, then with the Rapture in mind, I suppose everyday is Advent!